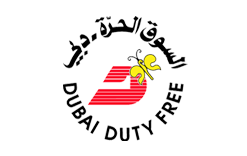 Dubai Duty Free opened for business on 20th December 1983 and over the past three decades, it has grown to become one of the leading airport retailers in the world. Employing over 6,000 people, it has consistently raised the benchmark for airport retailing and it continues to grow. Dubai Duty Free currently operates some 34,000 square metres of retail space at Dubai International Airport, including the 7,000 square metres of the recently opened Concourse D and 2,500 square metres at Al Maktoum International (AMI) - Dubai South. Dubai Duty Free currently employs over 6,000 staff of 47 different nationalities and is one of the premier “employers of choice” in the UAE. This is evidenced by the fact that the company received more than 81,500 unsolicited job applications during the last year.